In today’s video we take you through all of the appliance parts we have for our juicers, blenders, distillers and more! Instead of replacing your whole appliance you may just need an appliance part. All of our parts will be on sale for the month of January. Once we’ve sold out of the parts we won’t be stocking them any longer. So, get them while we have them! 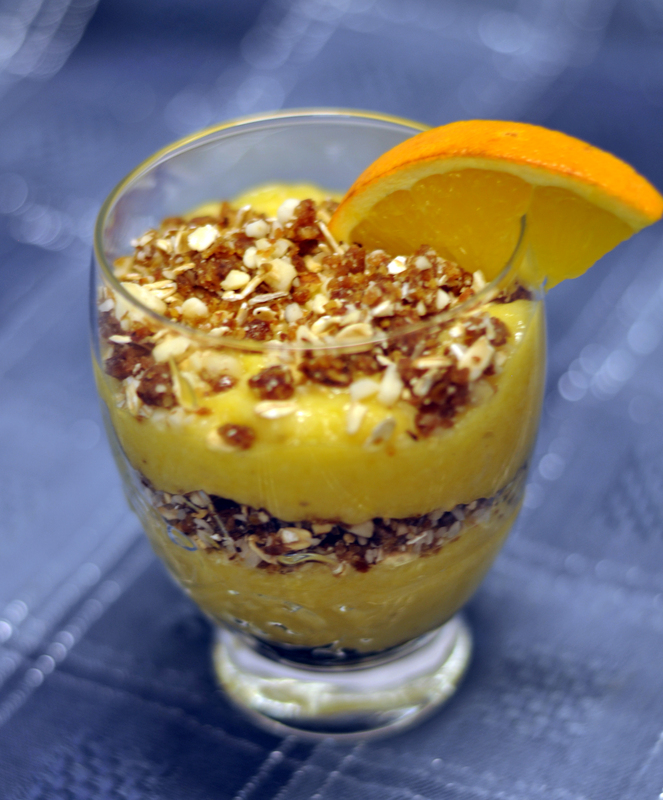 This is an easy and quick dessert to make as long as you have frozen fruit ready to use (or put fresh orange & mango pieces in the freezer about 2-4 hours before you want to make this dessert). Take ripe bananas (1/2 for each person) peel and put in freezer for at least 3-4 hours (I freeze my ripe bananas overnight so they are ready when I want them). Pour into fancy bowls or parfait glasses alternately with the crumble (you can put into freezer for 20 minutes if not ready to serve yet). You can vary this recipe by using any combinations of frozen fruits. Find this recipe and more in Judy Fleming’s recipe book “In the Kitchen with Judy”. This recipe book holds a collection of over 130 vegan recipes, menu planning tips and educational facts that Judy has compiled from her classes. This new edition features coloured recipes and pictures.